Picture this: The sun dipping below the horizon, the moon rising in the sky, endless sand dunes glistening, vibrant tones of the desert radiating all around. Now you can capture this serene image in a bottle with Desert Escape, a limited edition summer specialty collection from China Glaze®. Inspired by the tones found in the vast desert landscape, the glowing pinks and reds are cooled by a serene turquoise and glisten against shimmering neutrals. Get all in six in the Tribal Council Micro Mini Set! 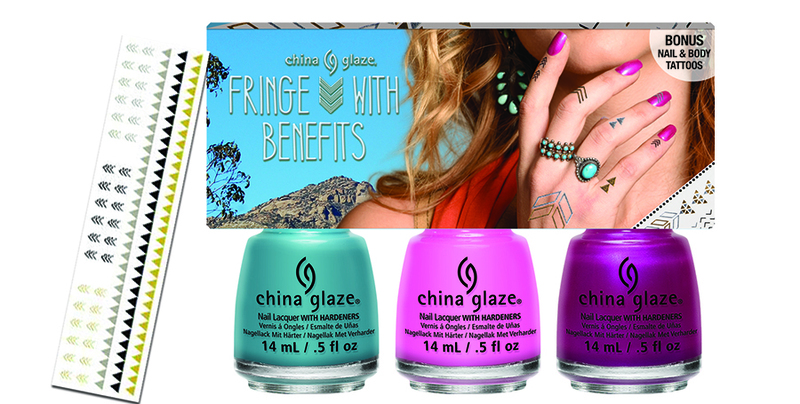 Create a picturesque oasis on your tips with China Glaze® Desert Escape Nail Design Kits. Each kit includes three Desert Escape shades and a bonus nail art item to create a variety of mesa-inspired looks. 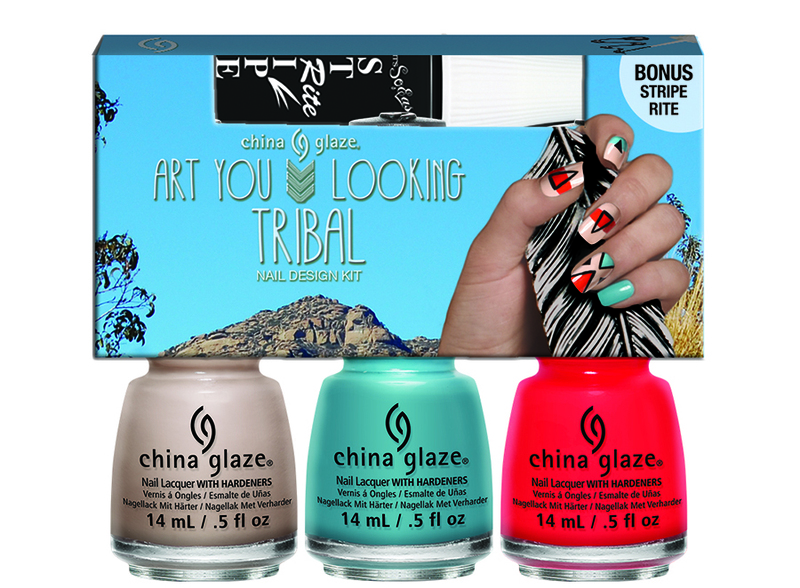 Give nails a metallic vibe with the Fringe with Benefits kit which includes a set of temporary tattoos, or create a tribal-inspired look with the Art You Looking Tribal kit which includes a black Stripe Rite liner. China Glaze® Desert Escape will be available in June 2015 online at LockAndMane.com. Individual shades MSRP $7.50; Nail Design Kits MSRP $14.95, Tribal Council Micro Minis MSRP $12.00. Looking forward to seeing these in person.